All photographers are some of the most well-intentioned people on the face of the entire planet. They like to think of themselves as never, ever doing anything to their precious cameras that would ever result in damage coming to them or in their misuse. However, in spite of their sense of being well-intentioned, the reality paints quite a different story. You’d be surprised at just how many photographers are really gross abusers of their cameras…some without even knowing it! Now, your camera is your precious baby…it’s the fulfiller of your passion and love of picture-taking. Without it, could you ever hope to try your hand at fantastic minimalist photography or wake up really early in the morning to get the most breathtaking shots of sunrise? Of course not! So it’s about high time that you started treating your camera like the precious possession it is. This is your baby. Treat it right. Just imagine if your camera could talk. If you started shooting with your flash from a quarter-mile away while at a sporting event, your camera would almost certainly shout, “No! Don’t abuse me in that way! Stop it!” Sadly, talking cameras with real, emotive feelings have yet to be invented (you never know what the future holds), so until they are, you have to be more sensitive to misuse of your camera. 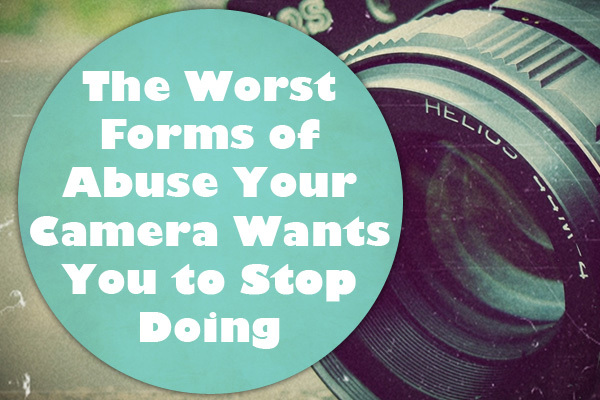 Here are some of the worst forms of abuse to a camera that you shouldn’t be caught dead doing. Can you think of any bigger scam in the camera world than so-called “lintless” cloths? If you can, please share it in the comments section. 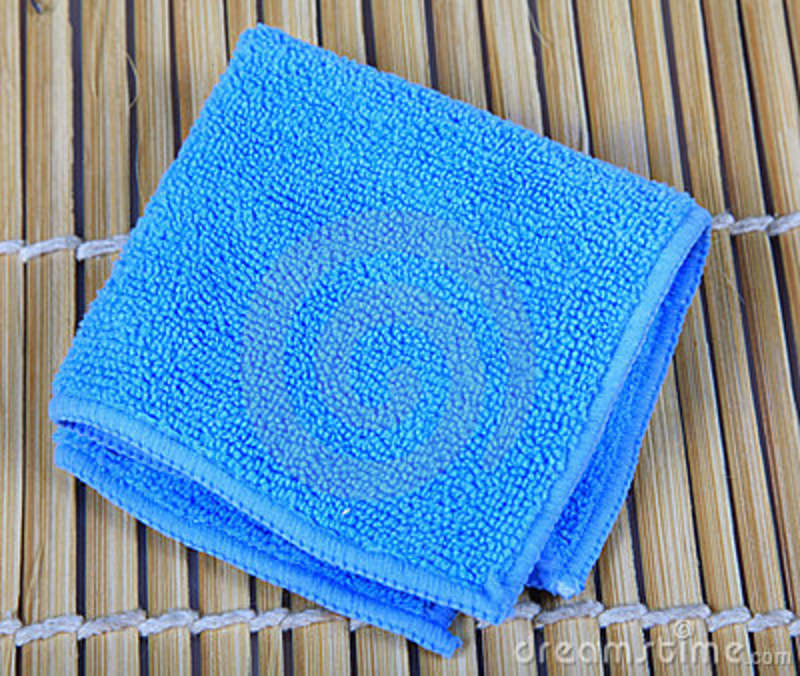 It’s absolutely frustrating to see photographers still being suckered in by false promises of “lintless” cloths, primarily because cleaning your camera with these so-called “lintless” cloths just causes more and more lint to unexpectedly appear all over your camera! Lintless cloths just aren’t all they’re cracked up to be. Sure, a part of this has to do with the fact that “lintless” cloths are usually poor quality after all, but another part of it is the flaw in the concept of “lintlessness.” These types of cloths will attract a lot of lint when you store them in your camera bag, thus defeating the whole purpose. However, there’s some hope! Meet so-called Pec-Pads, which you can purchase on Amazon.com. These are non-abrasive, lint-free wipes that have impressed photographers of all stripes because they are really free of lint and do what they’re advertised to do. The best part about them is that you only use them one time, thus eliminating the problem of lint getting on them in the first place! At just under $10 for a pack of 100, how could you go wrong? Head to any photography workshop, and be prepared to see many attendees in the room employing the center column of their tripods in order to help the camera get to eye level. Much of the time, photographers will generally use this center column since the height of their tripod is just too short if only its legs are extended. However, this is abuse of your tripod! 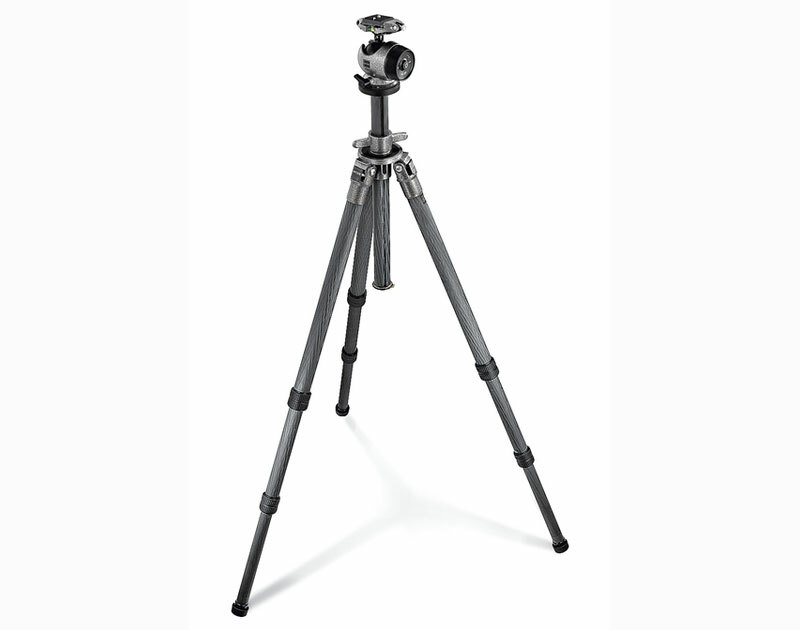 The center column of a tripod–don’t use it because your tripod can’t reach eye level due to its short legs! Instead of raising your center column, just purchase a tripod that already has the appropriate height you’re looking for. A reliable way to tell if a tripod can reach a suitable height is if it is capable of reaching your eye level without having to depend on the center column. Think you need some help in buying a reliable tripod? Here are a couple of suggestions for tripods where you won’t have to depend on the tripod’s center column. 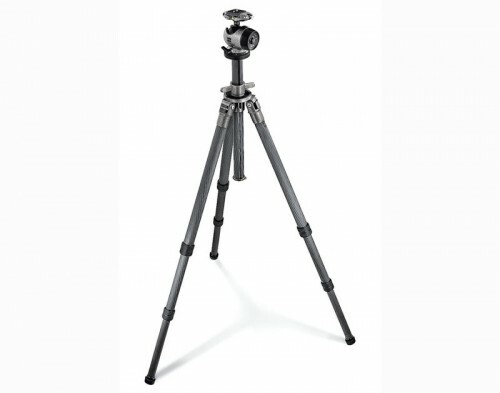 First up is the Induro Alloy 8M Tripod AT-313. Not only is it tall to begin with, but it’s also strong and reliable—in short, a great buy for your first professional tripod. The kicker? It’s under $200, which is a good deal considering what you get. Another solid choice is the Gitzo GT2540F Series 2 Safari 6x Carbon Fiber 4 Section Tripod. Not only is it very lightweight and rigid, it’s also tall. Getting the sensitivity settings on your camera just right is a…sensitive subject because many photographers take it for granted. One of the most common situations that gives rise to a misuse of your camera’s sensitivity settings is when you get done shooting indoors in low-light conditions without flash, and then you go out into much brighter shooting conditions. Naturally, you’ll have to adjust your sensitivity settings, or the chosen sensitivity will be totally wrong for the lighting condition. Figuring out when the sensitivity is all wrong can be challenging, which helps to explain all the bad photographs and photographers out there! Sometimes, you might pick up on the fact that either the shutter speed or aperture is flashing in your viewfinder, thus alerting you to the fact that either the minimum or maximum value just isn’t appropriate. However, other times, your settings might actually stay inside of these limits. You gotta be mindful of sensitivity when using a digital camera. So what to do? Issue a constant mental reminder to yourself to always watch the exposure settings. For instance, let’s say that you’re snapping a landscape inside of aperture priority mode, where your aperture is set to f/16. 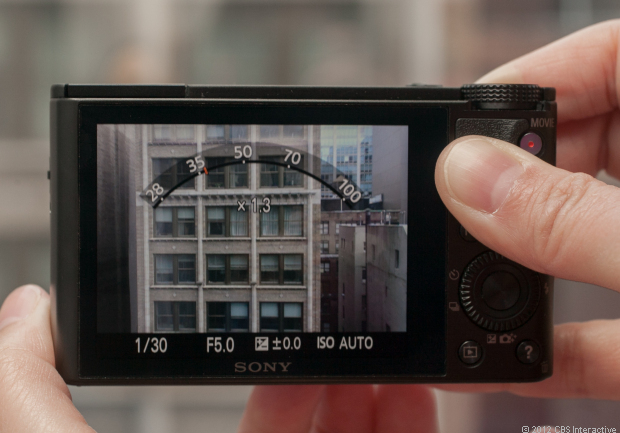 However, at the same time, your camera’s actually proposing a shutter speed that reads 1/2000sec. Check the sensitivity settings to reconcile this! When you see fellow photographers sticking memory cards into their cameras, know that a good number of cards are totally useless. A lot of photographers are completely forgetful and sometimes don’t remember to clear their memory cards before using them again. Sure, today’s relatively cheap prices for memory cards indicate that we’re able to afford cards with greater capacity, yet this has the tendency of lulling us into a false sense of security. You see, if you fail to clear the card…then you’ll slowly but surely run out of space. This is so obvious, yet it will just blow your mind when you realize how many photographers keep forgetting this. Workshops are full of people who want to learn more advanced picture-taking techniques, yet they can’t even get in the habit of carrying around free memory cards with them! Never carry around memory cards that are already full! Another bad practice is carrying memory cards that are already full of images. Not only are these cards easy to misplace, but it’s also super-easy to disremember which images have already been downloaded and which ones are still waiting for their turn. Instead, train yourself to get into a pattern of downloading all of your images as soon as you can. It’s also advisable to back them up to a 2nd hard drive. Download your images right after each shoot, and don’t forget to also format your card in-camera so that all your images get erased, thereby freeing up your card for efficient use the next time! Here is a list of some of the most popular memory cards available on Amazon.com today. These days, your camera is programmed to do a lot for you—so take advantage of its features to give yourself the most enjoyable and efficient camera use possible. Don’t be one of those people who relentlessly fumbles with your camera settings for several minutes on end because you never learned how to customize its various buttons! 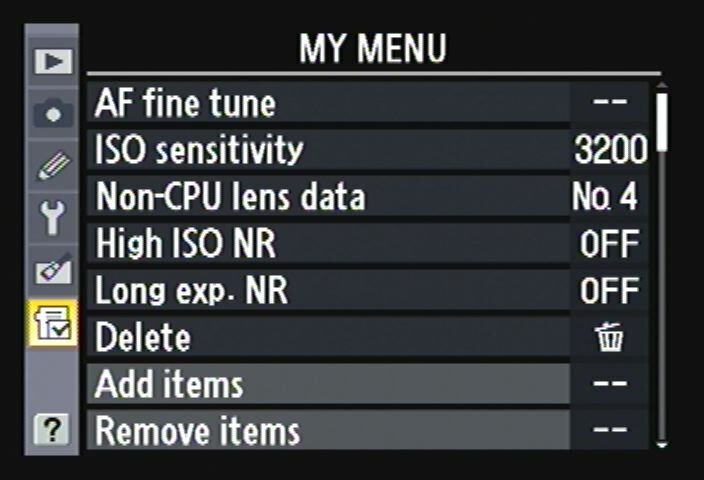 A lot of today’s high-end DSLRs allow you to actually customize what certain buttons on the camera can do. This was done for a reason: To prevent you from having to continually go through the camera menus again and again to execute certain things. 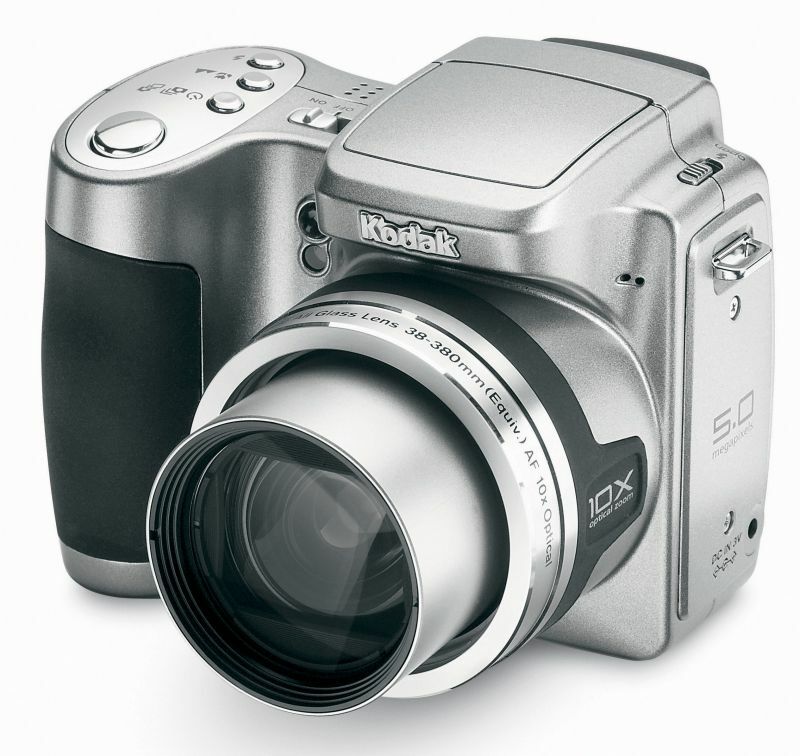 Instead, be time-efficient and savvy, and permit your camera to perform those various operations for you. That’s what the customization feature is there for, after all! Stop going through the menu every time. Instead, use your camera’s customization buttons to make life easier. Think customizing your buttons takes a lot of time and effort? Think again. It takes only several minutes of reading your camera’s manual to familiarize yourself with how to customize various buttons to help you perform operations more efficiently. This surely beats having to waste a lot of time each and every occasion you pull your camera out and want to look for something in the menu. Though your camera is an inanimate object, it certainly doesn’t deserve anything close to these types of abuses that far too many photographers commit, some of which you may be guilty of, too. Treat your camera like a living, breathing thing and stop taking it for granted. Your camera’s not there to be an afterthought that you just pull out when you want to snap a picture of something great! It’s your baby, so treasure it. 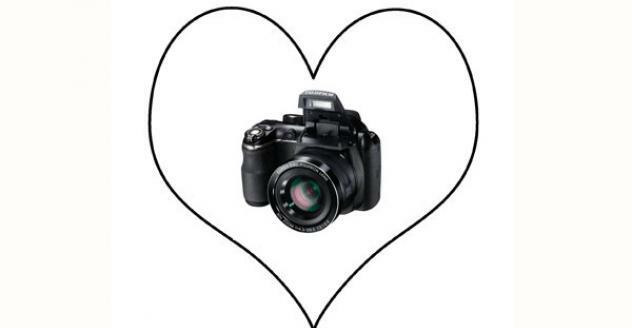 Camera love…it’s better than abusing your camera. Don’t be one of those photographers who only thinks he’s doing his camera a favor by using “lintless” cloths, which really have the opposite effect. Don’t give yourself away as an amateur by using the center column of your tripod because the tripod you purchased isn’t tall enough to begin with! Your camera will hate you for it! 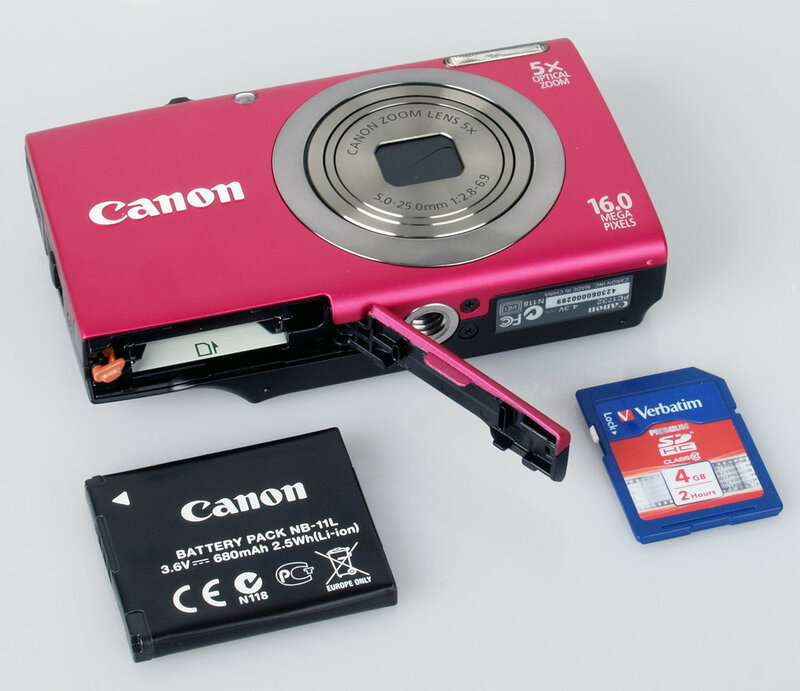 Please keep in mind to use the correct sensitivity, and remember to only bring empty memory cards with you for a shoot. Do yourself a giant favor, and stop wearing out the menu of your camera: Customize its buttons for various operations! What about you? Have you ever done any of these abuses to your camera? What other camera care atrocities have you committed? Don’t be afraid to share in the comments—we won’t judge! As always, remember to share this blog post, so that fewer and fewer photographers abuse their lovely cameras.